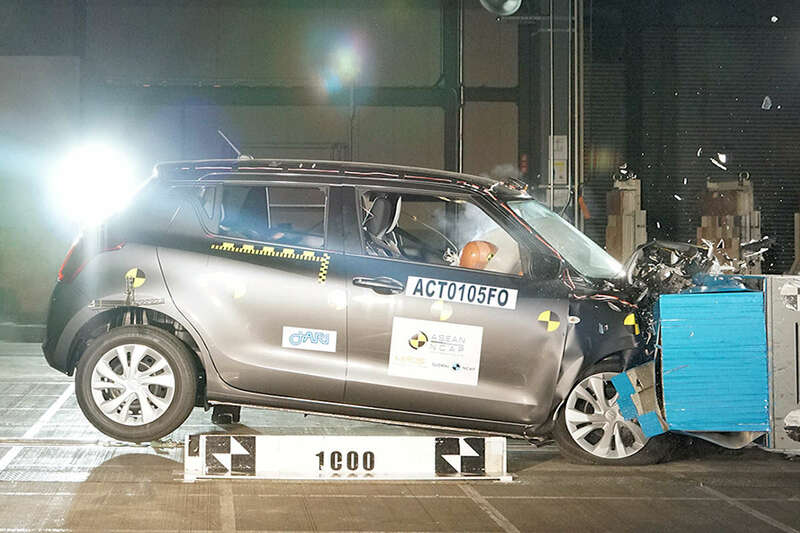 The all-new 2018 Suzuki Swift scored a solid 4 out of 5 stars in its ASEAN NCAP safety test. This test is significant for the locally available Swift since the variant tested by ASEAN NCAP, the GL, mirrors exactly the Philippine spec model. Built on a lightweight, yet robust HEARTECT platform, the Swift scored well in terms of both Adult Occupancy Protection (AOP) and Child Occupancy Protection (COP) scoring a 38.46 out of 50 and 19.95 out of 25 points respectively. This means that the Swift scored a perfect 5 in both AOP and COP. The Swift was already well on its way to score a 5 out of 5 ASEAN NCAP score if not for the lack of Electronic Stability Control which is required for an overall 5-star rating. However, the ASEAN NCAP does laud the Swift for having ABS with EBD, and a seatbelt reminder for the front seats across the region.